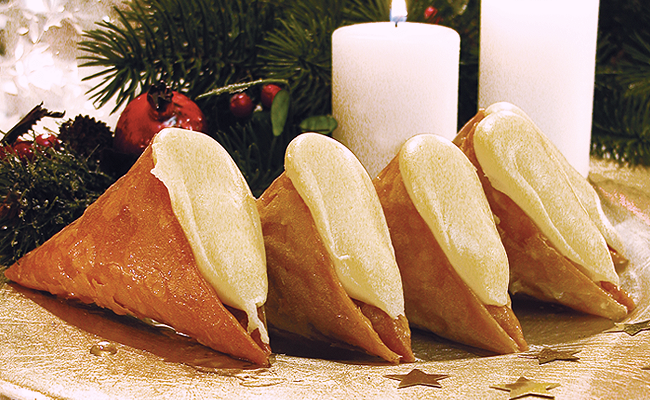 A true Thessaloniki “trademark”: the “trigona” pastry is well-known for its delicious rich cream filling. Greek food, the Mediterranean Diet and eating traditions are taking center stage in a series of National Geographic food tour/travel features, bringing Greece into the international spotlight as a prime culinary tourism destination. Thessaloniki and its goodies featured inNational Geographic Traveller’s Jan/Feb 2015 issue under the title “Eat: Thessaloniki”focusing on the northern port city’s rich, multicultural past and “passion for food”. The story outlines the reasons to eat in Thessaloniki, and better yet what to eat and where. Highlights include smoky aubergine dip, sweet fish “sinagrida”, oysters, and of course, the city’s trademark pastries, the “bougatsa” and the creme patisserie-filled “trigona”. 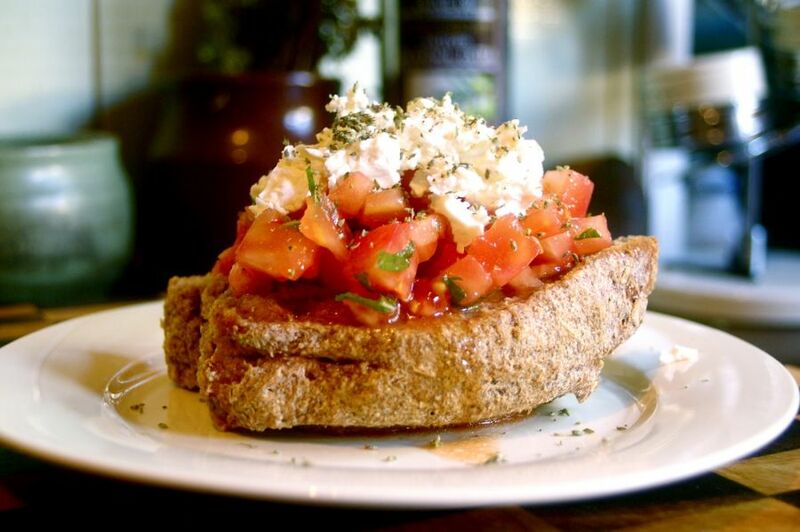 Dakos (or “Greek bruschetta”): A traditional meze (light meal) of the island of Crete. In the meantime, Crete’s dietary habits and offerings steal the show in “We Are What We Eat: Spring in Crete Means a Feast of Wild Greens”, part of the “The Evolution of Diet”, which is a segment of National Geographic’s special eight-month “Future of Food” series. Rummaging Crete for greens and much more, the feature describes the Greek island as “favored by the gods” and focuses on the health benefits of the Mediterranean diet. The Acropolis Museum Restaurant! Top 5 choice Worldwide! Another great award for Greece! Try the best taste, compined with the best view! Only in Santorini!